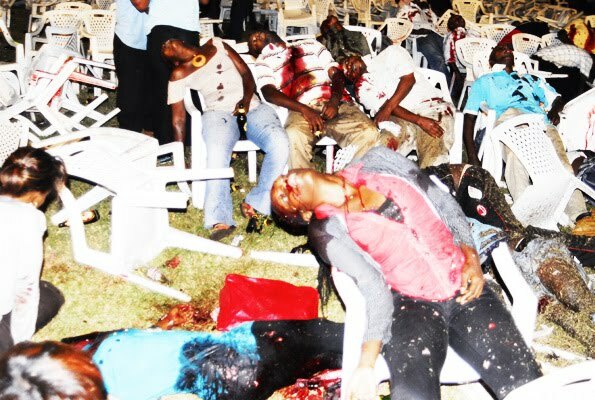 Following the bomb attacks in Kampala, Uganda in July 2010 the Ugandan authorities asked for assistance from neighbouring and overseas police forces, including New Scotland Yard, the FBI and Interpol. The claimants were all at various times detained in Kenya and transferred to the Ugandan authorities. In none of these cases was there any extradition or other judicial process in relation to the transfers.Each of the claimants were charged in Uganda on 30 November 2010 with murder and other offences arising out of the Kampala bombing. The claimants alleged that they were subjected to ill-treatment of a brutal nature which amounted to torture or cruel, degrading and inhuman treatment at the hands of intelligence and/or security agents of Kenya, Tanzania, Uganda, the USA and the UK. They brought proceedings alleging unlawful rendition to Uganda. Their petition, pending before the Ugandan Constitutional Court, contended that the illegal rendition makes the proceedings against them unlawful and an abuse of process on principles similar to those set out in the judgments in R v Horseferry Road Magistrates’ Court ex parte Bennett  1 AC 42 and R v Mullen  QB 520. To support this claim they sought information and evidence from the defendant (the Foreign Secretary) on Norwich Pharmacal principles in relation to his alleged rendition and his alleged ill-treatment. The claimants contended that the British security services must have been well aware of the risks of the Kenyan authorities rendering suspects, as those authorities had done so before. Because of the alleged presence of UK intelligence officers in Kenya and Uganda it was accepted that the necessary enquiry which would enable the claimants to obtain Norwich Pharmacal relief would involve issues that touched upon the national security of the United Kingdom. Therefore part of the proceedings necessary to protect the national security interests of the United Kingdom were subject to closed proceedings. In accordance with the discharge of the duty of candour expected of a defendant in public law proceedings (see e.g. R (Quark Fishing Ltd) v Secretary of State for Foreign and Commonwealth Affairs  EWCA Civ 1490 per Laws LJ at ), the Foreign Secretary provided disclosure in the closed proceedings, which remains a closed annexe for the purposes of this open judgment. In the open hearing the Foreign Secretary adopted the position that he would neither confirm nor deny the presence of British security personnel in Uganda or Kenya. The main obstacle facing the claimants was the statutory regime dealing with requests for evidence from foreign courts in civil or criminal proceedings. The Foreign Secretary therefore argued that as Parliament had legislated in relation to the provision of assistance to overseas states in connection with legal proceedings, the courts should be respectful of the statutory regime and should not permit the statutory regime to be bypassed through the use of the Norwich Pharmacal procedure. In the alternative he contended that no case has been made out by the claimants that there is any activity for which he is responsible that amounted to being mixed up in the alleged wrongdoing. It was common ground between the parties that the proceedings should be characterised as criminal. Under the relevant statute, there is an exemption for the provision of information if it would prejudice the security of the United Kingdom. What the claimants were seeking was, in effect, a statement from the Foreign Secretary that the UK government was in possession of information which demonstrates that the claimants were rendered from Kenya to Uganda. Under the statutory regime the compulsion of evidence from a person in his capacity as an officer or servant of the Crown is also exempted, which is why the claimants sought to rely on Norwich Pharmacal principles instead. where proceedings, such as the present proceedings, are brought to obtain evidence, the court as a matter of principle ought to decline to make orders for the provision of evidence, as distinct from information, for use in overseas proceedings. It cannot permit the statutory regime, with the safeguards to be circumvented. …the statutory regime is the only means by which evidence for use in foreign proceedings may be obtained and, save in Binyam Mohamed (No 1) and Shaker Aamer, where the points was not taken, Norwich Pharmacal proceedings have never been used to obtain evidence for use in proceedings. The jurisdiction of the court is confined to the statutory regime. Furthermore, their claim could not succeed under the legislation either, since the request for information emanated from the claimants, not the Constitutional Court of Uganda. To permit these proceedings to continue without a request from the Constitutional Court would evade a principal requirement of the statutory regime. It followed, therefore, that it was not permissible to seek evidence through Norwich Pharmacal proceedings, if such proceedings are in principle permissible, without complying with that requirement. Even if the claimants had been entitled to pursue Norwich Pharmacal proceedings to obtain evidence, and the exemptions in the statutory scheme did not operate as a bar, they would not succeed for a number of reasons, chief of which were comity and harmony between jurisdictions, and the requirement of necessity for Norwich Pharmacal relief to apply. We cannot assume at this time that the courts of a friendly foreign state will fail properly to consider an application for disclosure. Tactical reasons, however well intentioned, cannot in the circumstances of a case such as this override the need to apply in Uganda first. the order is necessary in the interests of justice on the facts of the case. despite the gravity of the alleged wrongdoing and the fact that the claimants are at risk of the death penalty, we should exercise our discretion and refuse relief.